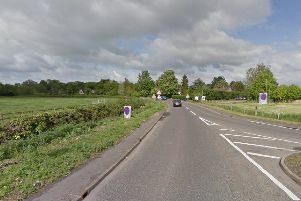 A young man has died in a motorcycle crash in Cambridgeshire. Police are appealing for witnesses following the fatal collision on the A141 in Soham yesterday (18 June). The incident happened at around 5.30pm when a motorcyclist, traveling on the south carriageway, left the road and collided with a fence and bushes. Sadly the motorcyclist, a man in his 20s, suffered fatal injuries. Police are keen to hear from anyone who witnessed the collision or saw the vehicle in the moments leading up to the collision.